$25 billion: The best number to happen to the global music business in a very long time. The global music business is generating billions more dollars every year than most people appreciate. And today MBW, with the help of leading industry economist Will Page, can reveal why and how. The headline news: across 2014, the worldwide music copyright industry – that’s recorded music income plus publishing and songwriting (‘musical works’) – generated a grand total of $25.28 billion. That’s $10bn bigger than the $15bn generated by the recorded music industry last year – the IFPI stat by which the music business regularly measures its commercial strength. Finally, for the first time, the music industry can now rely on an accurate analysis of the entire global value of its copyrights. 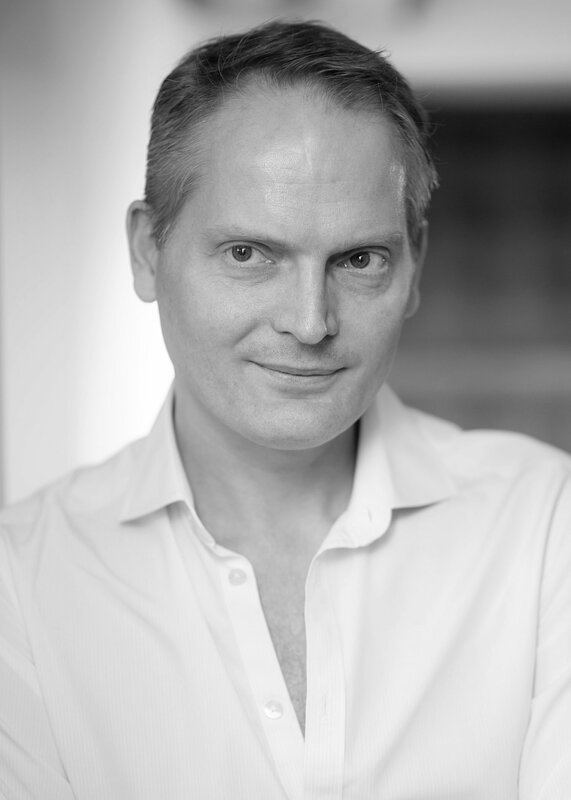 As he explains in an in-depth Q&A with MBW below, Will Page – Spotify’s Director of Economics – has determined that the global value of musical works last year stood at $11.338bn. 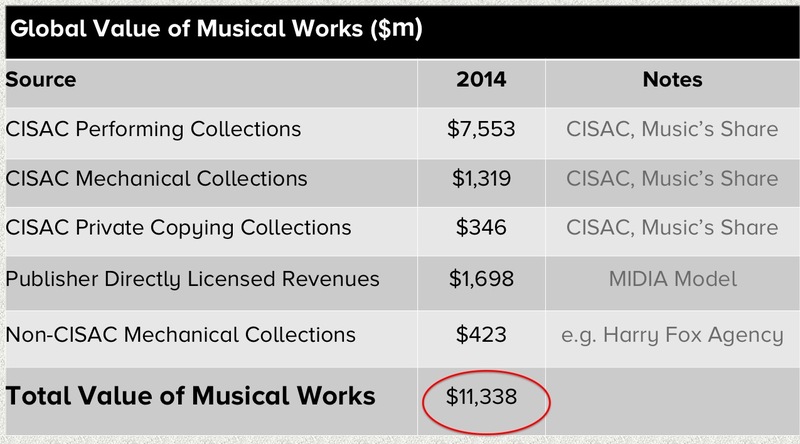 Importantly, that figure includes mechanical copyright royalties passed through to publishers from labels. To get to our all-important $25.28bn sum, therefore, this number must be removed from the recorded music industry’s $15bn 2014 revenue figure so we’re not ‘double counting’. The total worth of this mechanical royalty sum last year: $1.072bn. In other words, after mechanical royalties had been paid out by labels to publishers, the income of recorded music rightsholders in 2014 was not the oft-cited $15bn, but actually $13.9bn. 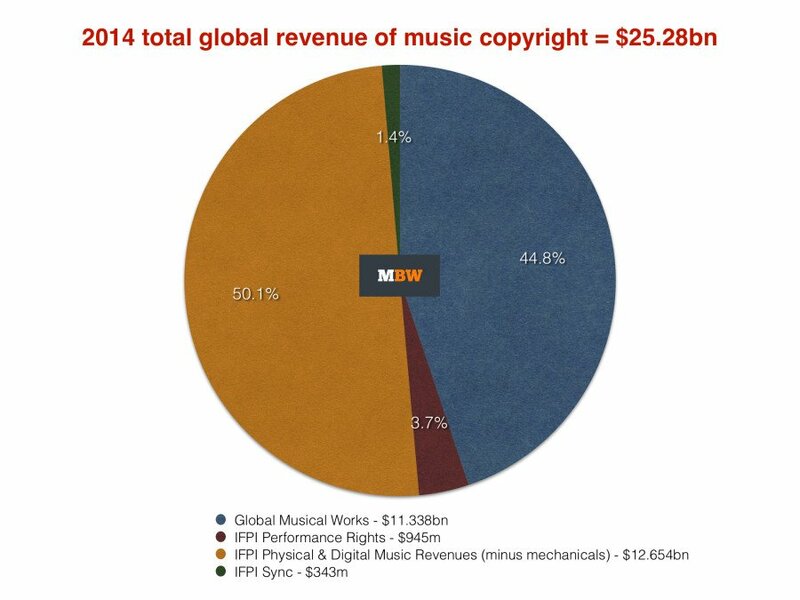 The publishing/songwriting segment of the worldwide music business in the same 12 months generated $11.338bn. When you dig further into Page’s analysis, you find plenty of questions about how the music industry sees itself, and how it should be shaped in future. Before we get there, though, let’s briefly examine how Page has placed a figure on the global annual revenues generated by musical works in 2014 – a real milestone for the worldwide publishing business. You’ve managed to put a figure on the global value of musical works. Has this been done before, and why did you set about doing it? Whereas the IFPI publishes the Recording Industry in Numbers [annual report], the music publishing and songwriter side of the industry has not had a similar document to serve the industry​ and its analysts​. I wanted to plug the knowledge gap, as industry analysts and professionals often don’t appreciate ​the ​sheer ​value of musical works that songwriters and publishers create. What’s more, few folks seemed to know the ‘snakes and ladders’ process of how to calculate it. What are those snakes and ladders you refer to in arriving at the ​$11.338bn figure? The first one is ‘double counting’​, ​ which has bugged me for some time. There are five figures which are used to get to the ​$​11.​3​bn ​total, can you take us through each ​in turn​? The first three steps to our ​grand ​ total are performing, mechanical and private copying collections. These three come from the CISAC Global Collections Report, which was compiled by Media Insight Consulting. The report stated global collections were €7.9bn, up an impressive 2.8%. I took this Euro figure and convert it into USD at the exchange rate of 1.33 [the same used in the IFPI RIN] to get $10.6bn so it could be compared against the recorded industry. I worked from the MIDIA Music Publishing at the Cross Roads study. The revenues which were taken towards our total are from MIDIA’s ‘Sync’ and ‘Other’​ categories​​. The former is self-explanatory, whereas the latter includes grand rights [musicals] and printed ​music sales. Finally, we complete the snakes and ladders exercise by adding back the value of mechanicals collected outside of CISAC, such as the Harry Fox Agency in the US. Recall, when you have ‘pass through’ you have double counting, so you can estimate this figure from the IFPI Recording Industry in Numbers. Pulling it together​ you get a​ ​​impressive ​total​ ​of ​​ ​$11.3bn for 2014. For readers who were not aware that the songwriting/publishing sector was worth so much, how would you put it into context? It’s large and more importantly it’s growing! Indeed, collecting societies have been reporting ‘record collections’ throughout much of the past fifteen years, in contrast to the recording industry which has seen its top line halve in size. Based on the MIDIA model, I think that publishers are seeing direct revenues make up an increasing share of their business as they expand their licensing activities in areas like sync. ​The MIDIA model was global, and credit to Mark Mulligan for attempting to value this sector as few others have tried. I would encourage more ​publishers​ to follow the excellent work of the NMPA​ in adding up the value of their industry. ​The David and Goliath generalisation that is often used to describe publishing and recording is misleading when you stack up the numbers, as they are actually a lot more even. 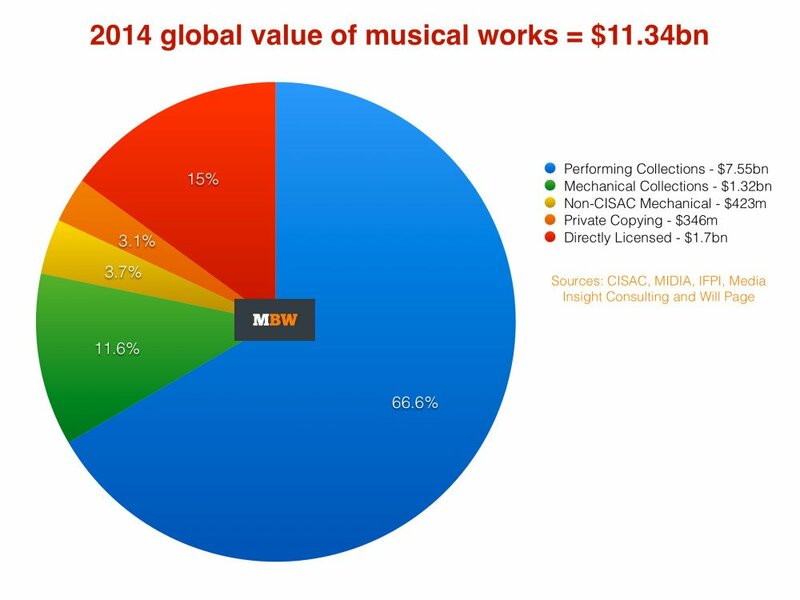 For instance, some rough math shows the 2014 value of musical works ($11.3bn) far exceeds the value of ‘ownership’ revenues from physical and downloads to the labels ($9.4bn) in the same year. Go back a decade, and all we thought the industry was about was ownership – these new numbers are a sign of the times. Now we have this $25bn figure, what can the industry do with it? ​Lots. ​I really believe that better tools mean we can do a better job. When a US label sells an album, it will need to pay the publisher, ​yet​ when it gets money from streaming, the publisher gets paid separately. So if the SEA [in the US charts] is currently 1,500:1, ​you need to either remove the publishing from one side, or add it to the other to compare apples-with-apples and not apples-with-pears​ (no pun intended)​​.